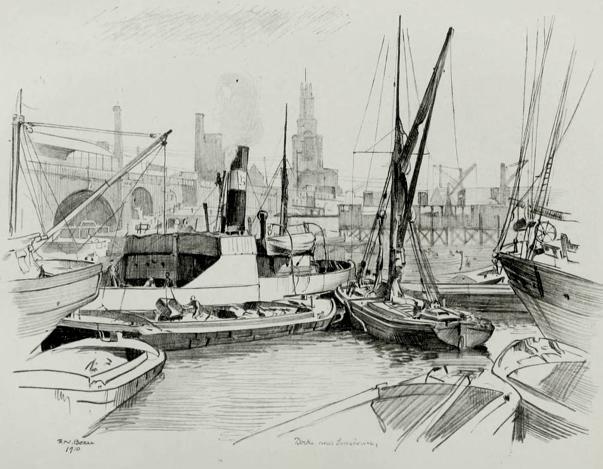 Docks near Limehouse by P. Noel Boxer. Drawing. Inscribed with signature, title, and date 1910. Source: London Past and Present, 54.